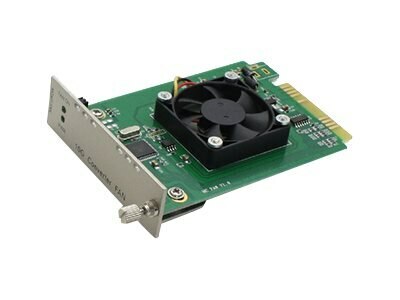 This is a 10G media converter fan card. It is powered by an internal 110v/50 Hz power supply, and is recommended for use within a rack chassis to assist in environment temperature control for variety of our 10Gb media converter cards. Should be placed in a slot next to a 10G card. The media converters are 100% compliant for all of networking needs. Now you have a cost effective solution to your network upgrade needs.